Many of you have seen my mom and are astonished at her age. At 91, she still rocks her fashion jeans and her platform heels. If you want to see with your own eyes, then listen to a Mother’s Day interview I did with her when she was 89, click here. I feel very lucky to be able to live near my mom and have her spend lots of time with my family and me. 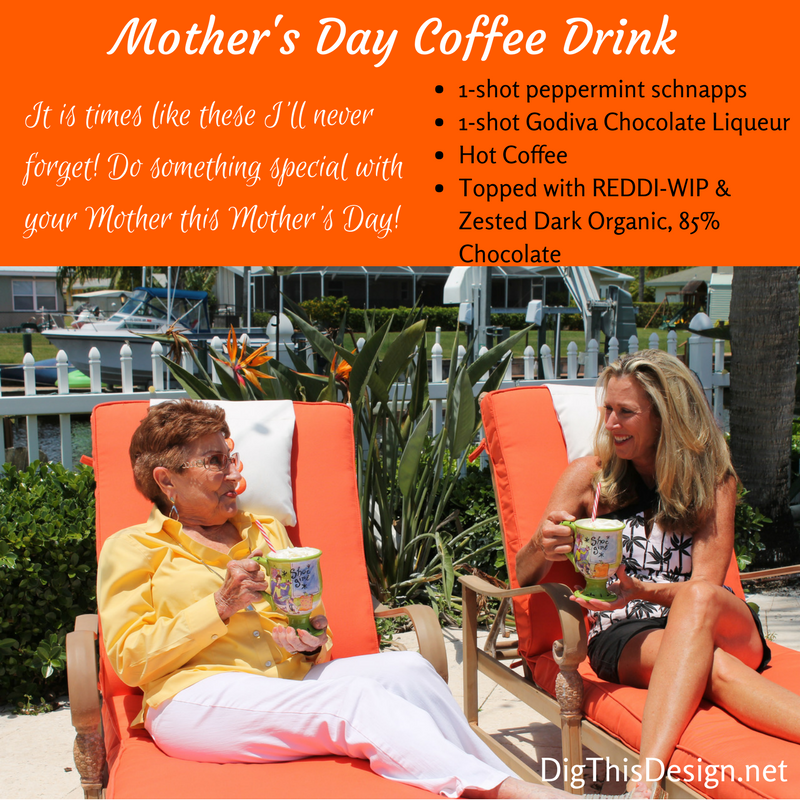 I am so happy to share with you one of my mom’s favorite coffee drinks. It’s all the ingredients any lady would love. I wish you the BEST Mother’s day and hope you get to celebrate together with your mom this Mother’s Day!